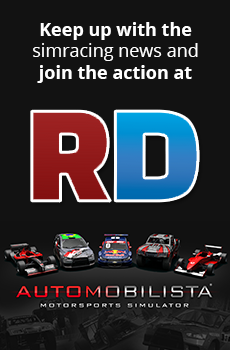 Discussion in 'Automobilista - General Discussion' started by Renoista, Apr 4, 2019. First to congrats the developers. I installed Automobilista again after 2 years and improvements are more then visible. Many will say that graphics is outdated but for me it's clean and more immersive than many new shiny AAA racing titles. From cockpit is simply stunning. Yes even with Gamepad it's more immersive than blockbusters. One thing that even Reiza didn't improved is crowd. Totally immersion braking when you crash and see some. Is there a some HD animated crowd mod or a way to remove it during the race? When I hear AMS graphics being criticised, I honestly don't know what they are talking about. The game looks great! But those static people stand out and I'd prefer to turn them off as well. I think it goes away lowering circuit details on graphic settings. Yes but it lowers other circuit objects too. I wonder if a modder could simply replace the old-style pixel people with modern, high-res versions now that many PCs could handle the extra resource load? Maybe it would use too-much valuable memory that we need for cars and track details? I made a simple crowd mod on RD in AMS misc category.